In an event at Redmond, Microsoft has unveiled its successor to the Xbox 360: Xbox One. Unlike the launch of Sony's rival console, the PS4, Microsoft was able to show off the hardware at their launch event, but details like the release date and pricing are not yet available. The squarish shiny black box is more reminiscent of a home theater device, and it appears this is exactly how Microsoft plans to market the box, as an "all-in-one home entertainment system". The Xbox 360's media credentials, for an 8 year old game console, is remarkably sound, but Microsoft improves upon this by including Blu-ray playback for the first time. Microsoft has previously backed Toshiba's HD DVD format in the early days of the HD wars via an add-on drive to the console that allowed for HD DVD movie playback. But the demise of the format left Microsoft's console without support for a HD disc format, giving the advantage to Sony's PS3, which had built-in Blu-ray support from day one. The console will be powered by an AMD made 'Jaguar' based 8-core x86 processor, with 8GB of DDR3 RAM and a 500GB HDD. This makes the specs remarkably similar to that of the PS4, which also has an 8-core 'Jaguar' based CPU, and 8GB of RAM, although Sony will use the higher bandwidth GDDR5 variety. 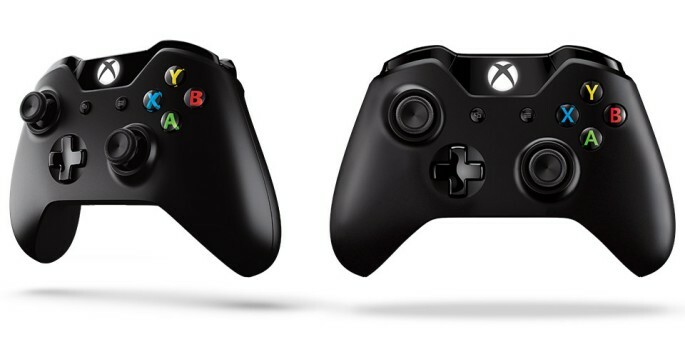 The Xbox controller, widely acknowledged as one of the best controllers on the market, has been redesigned too, along with Kinect. The new Kinect system, to be included with every Xbox One console, now interacts with the new Xbox One controller, allowing Kinect to instantly track who is holding the controller. While Microsoft claims 40 changes to the controller, the changes appear to be far less dramatic than that of the PS4's new controller, of the Wii U's tablet style controller. The Xbox One lacks the PS4's trackpad function, for one, and does not feature built-in speakers and a headphone jack like the PS4's new controller. The new Kinect does seem more major changes. The more precise system now requires less free playing space to operate, and operates better in low light. It will also now be able to track joint rotations, individual finger movements, and even facial expressions. It can even track your heart rate, and calculate how many calories you're burning while you play Kinect. Despite being a game console first and foremost, Microsoft wants consumers to treat the Xbox One as much more than just a game console. 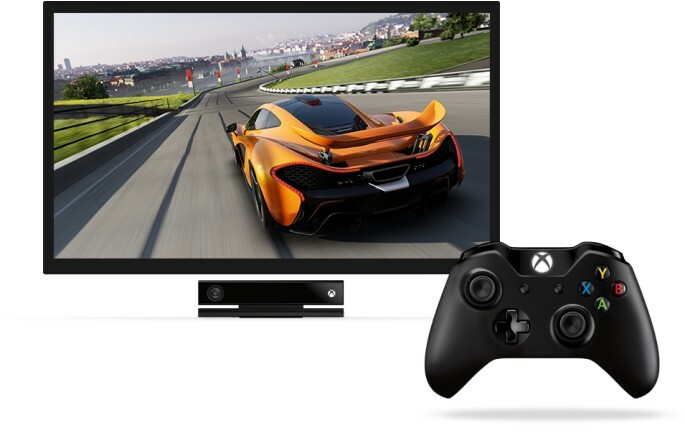 New will be an integrated Live TV module (which may require an external STB to be connnected to the Xbox One via the built-in HDMI input port), and using Kinect's voice commands, users will be able to seamlessly switch between media functionalities, and between media consumption and gaming. For example, speaking the command "What's on HBO" will bring up the built-in program guide for the channel, and speaking the name of the show will allow you to switch to the channel that is currently broadcasting the show. 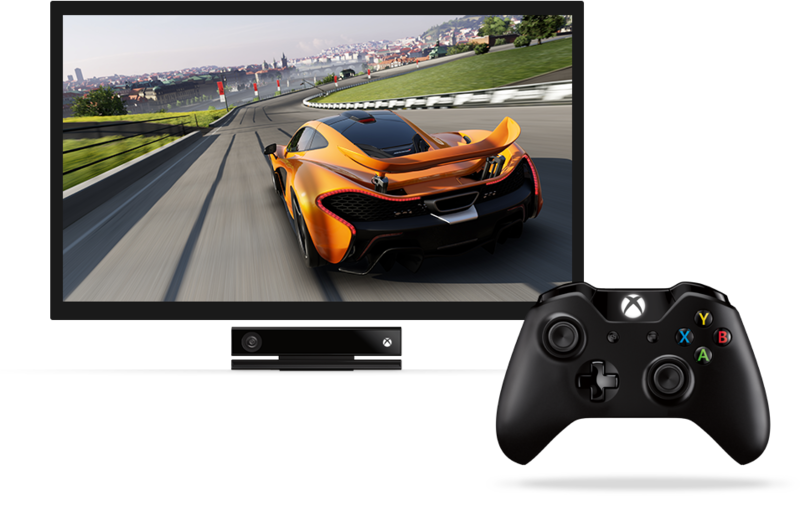 "No more memorising channels or hunting for the remote control," explained Microsoft's senior vice president Yusuf Mehdi. The Internet will also be key to the Xbox One's strategy. While "always-on" DRM is not on the cards (and despite rumors to the contrary, Microsoft will not be restricting the trading and selling of second hand games), an Internet connection will become increasingly important as developers take advantage of the console's integration with Microsoft's Azure cloud platform. Potential applications could include anything from cloud storage, to games offloading complicated calculations to the 300,000 servers available to the console (more servers than what was available in 1999 for the whole world, Microsoft says), and even recording your gameplay videos directly to the cloud for easy sharing. The event did not include as many details on the game line-up as one would have expected. Microsoft demoed the Xbox One running Call of Duty: Ghosts, FIFA 14, Forza Motorsport 5 and the original Quantum Break. More titles will be unveiled at E3 next month. Microsoft says that 15 platform exclusives, including 8 new franchises, will be available on the console during its first year. Microsoft also confirmed that the new console will not be offering backwards compatibility with Xbox 360 games. The Xbox One is expected to launch worldwide before the end of 2013 and will retail for around the same price as the PS4, estimated to be around USD $400.